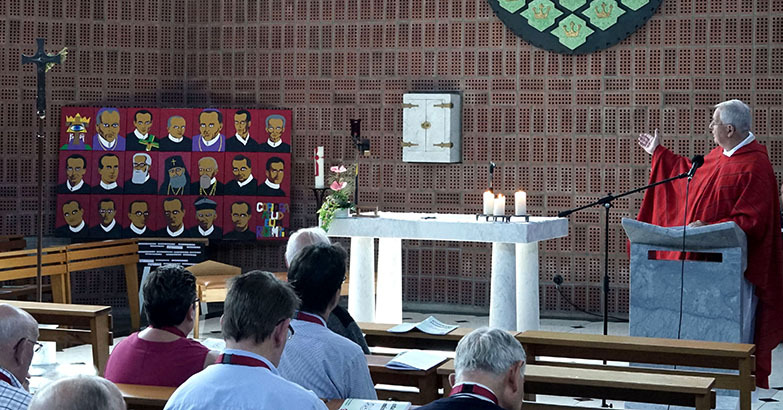 During the yearly retreat of Redemptorists and lay people of the Province St. Clemens in August 2016 Father Jan Haen C.Ss.R. 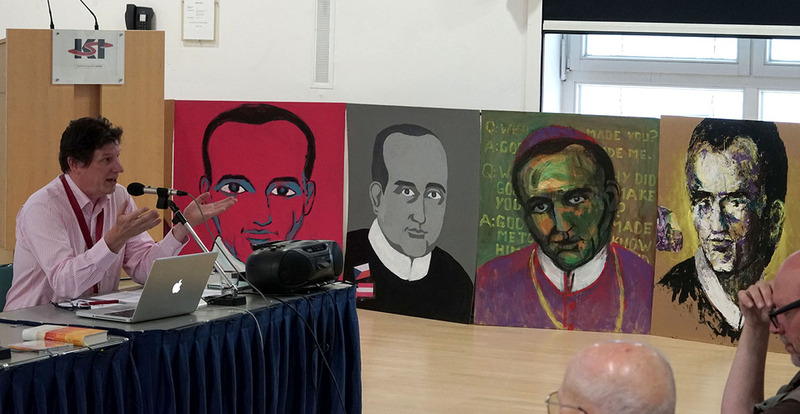 presented two sets of paintings of our Redemptorists Saints and Blessed. In his special – almost ‘pop art’ – style he depicted each saint and blessed with his main characteristics. 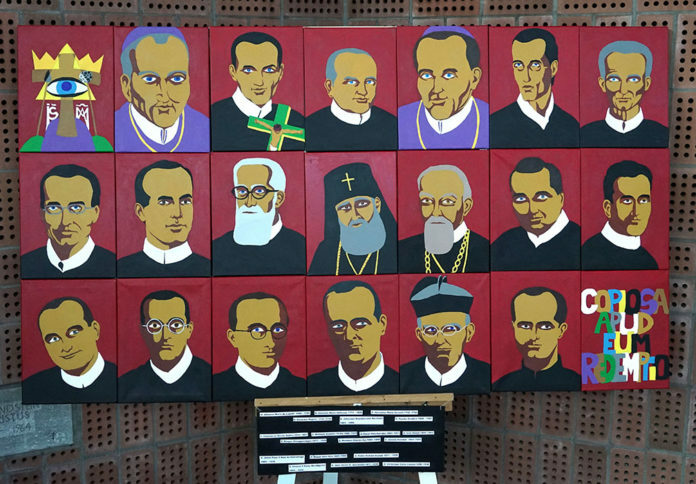 The first series was placed in the chapel of the retreat house during all liturgical gatherings and will get a suitable place in the provincialate in Wittem (the Netherlands) . The second series was placed in the conference room. This group of pictures is much larger and more colorful.